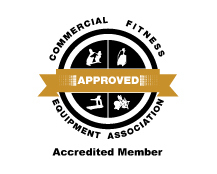 As versatile as the Human Body, the Certified Pre-Owned Adaptive Motion Trainer™ (AMT) elliptical from Precor enables users to naturally and instantly adjust stride length from 0-27” without the necessity of pushing buttons or controlling settings, providing a completely unique and challenging cardiovascular workout. The AMT100i elliptical adapts and adjusts to the users’ natural path of motion, incorporating contralateral pushing and pulling arm movements that provide the ultimate total-body workout, with patented horizontal and vertical dual-plane resistance that add another dimension of customizability to the workout. 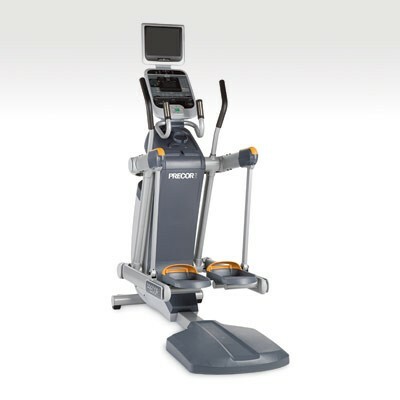 On the Precor AMT100i users can instantly move from short strides comparable to walking, to mid-range strides such as those used when jogging, to long strides that simulate long distance running, to deep lunges similar to stair climbing, or any combination of these movements the imagination can conjure.